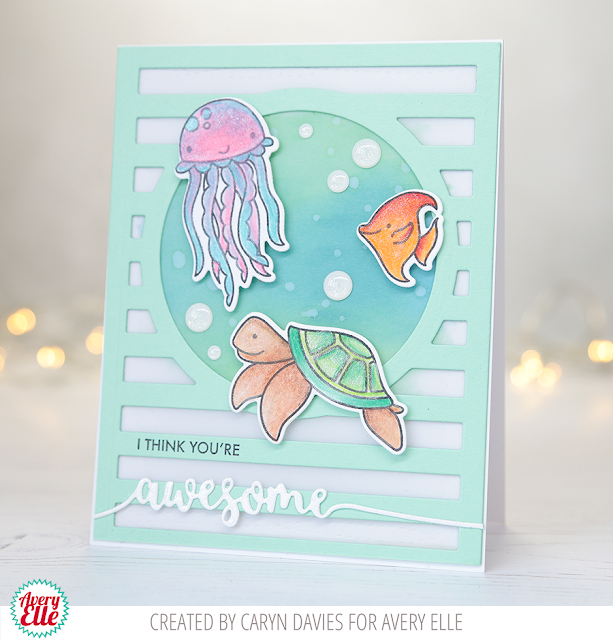 Avery Elle: Two Awesome Cards by Yainea and Caryn! Caryn and Yainea are on the blog today with some really fun cards. Let's check them out! This first card by Caryn is so cute. She stamped, colored and die cut images from our Bubbles clear stamps and mounted them onto a Horizontal Stripes die cut. The stamped and die cut sentiment from our Sentimental Too clear stamp and die set finish the card off. I love it! Yainea created this next card. 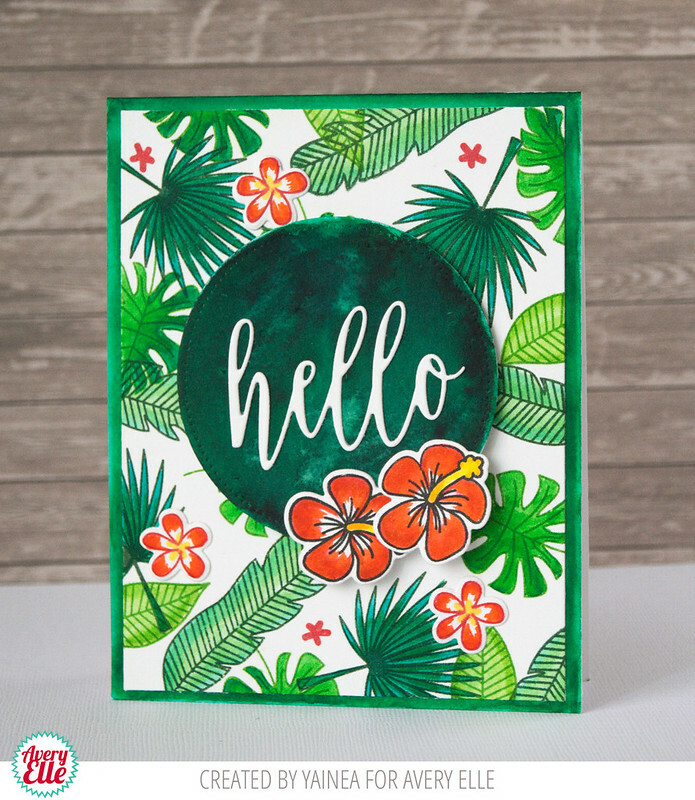 I love how she stamped the images from our Tropics clear stamps onto the background panel. The green, orange and yellow color scheme is fantastic! The hello die cut from our Horizontal Stripes die set finishes the card.